Kind of curious why are people saying coppers are rare? There are tons of them in Humboldt and I've found quite a few in Mendo. Are you guys not going in the late evening to night time? Coppers come out in droves at night. The second the weather opens back up here, I'll pop the biggest one I can find (they're not usually that big), post it and drop a pin on a map for you all. They are fairly common in norcal if you can dive 100+ feet, i have caught a ton fishing in deeper water, are you sure they dont look like this? Unofficial rules going in the next couple of days. Speak now or never. New added rules that should make Adam and Derek happy. 1. All entries (fish/scallop) must be taken while freediving without any assistance from another diver. Assistance is defined as: Finding, marking the hole, luring, chumming or directing another diver to a fish or abalone. No other diver can load the gun, make a back-up shot, touch spear or iron or assist in the landing of fish or abalone. You may alert another diver to the possible presence of a fish in a general area, but not a specific area such as; next to my gun, at the end of my float line, right underneath me, in a hole under that big rock, etc. 2. Chumming is not permitted. 3. 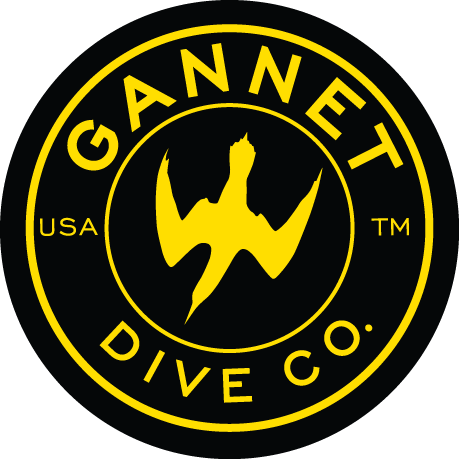 Diving can be from shore or from kayak or dive board. No motorized vessels or mothershipping or SCUBA. 4. Photographic evidence of fish/scallops (total length) against a measuring device must be provided. All entries must be rounded down to the nearest quarter inch. Pictures are required to show the MOUTH CLOSED of the fish on a Hawg Trough or similar measuring board. No lip grippers or game clips or stringers can be in the mouth when picture is taken. You are not allowed to stretch or pull the lips to gain extra length. This is in accordance with DFG measuring standards. Multiple pics can be submitted to show mouth closed and touching end of trough (if need be due to rigor mortis making squeezing mouth shut necessary). Any entries not in compliance will be subject to DQ of entry at discretion of DOTY committee. Pictures of fish need to be taken BEFORE scaling/gutting etc. for both ID and accuracy of measurement purposes. Only pictures that show the ENTIRE fish will be used in judging submissions. Missing portions of the head or tail in the photograph may result in a disqualification of the submission. “Tail only” shots may be used to clarify full length pictures, but will not be used as the sole factor in determining length. Committee recommends competitors take pictures of fish from “straight up”, as this assists committee in determining the accurate length of the fish. 5. Scallops can be measured with calipers or a hawgtrough and knife (see pics for examples). Both shells must be visible in at least one picture if not still joined together. Rocks, old shells etc not included in measurement. Measurements will be rounded down to the nearest quarter inch. 8.9" Scallop --> entered as 8.75"
9" Scallop --> entered as 9"
9.1" Scallop --> entered as 9"
9.2" Scallop--> entered as 9"
9.3" Scallop --> entered as 9.25"
9.4" Scallop --> entered as 9.25"
9.5" Scallop --> entered as 9.5"
Keep your PB shell. In event of tie at end of year, shells will be calipered as a tie breaker. 6. The pool is open to NCKA members only and runs from January 1, 2017 to December 31, 2017. Fish and scallops taken prior to payment of entry fees and joining NCKA are ineligible. Prospective participants can join NCKA at anytime and then once their fees are paid they are eligible to compete. 7. Payment of DOTY fees makes the participant eligible to participate in AOTY and vice versa. 8. Sharing of reports and pics with the NCKA community is STRONGLY encouraged. Not asking or encouraging people to share secret spots, just encouraging people to share their stories and adventures and reports with the larger group. Reports and pics are fun!! 9. All fish and scallops entered must be taken south of the California/Oregon border and north of the mouth of Moro Rock. 10. The pool covers the following categories: Lingcod, Cabezon, Greenling, Blue Rockfish, Black RockFish, Gopher Rockfish/Black&Yellow Rockfish/China RockFish, Kelp Rockfish, Grass RockFish, Copper RockFish, Vermillion RockFish, Olive RockFish, MonkeyFace Prickleback, Halibut (California and Pacific), Perch (all kinds), Sheepshead, White SeaBass, Rock Scallops, Striped Bass (Ocean or Freshwater). 11. Each diver gets ONE freshwater striper entry. Please be aware this is a touchy subject for a lot of people. Be respectful and stay within the law. Freshwater striper diving comes with its own hazards, including possible assault from cranky fisherman who don't want you there. It's recommended you avoid shooting big landlocked hens, but as long as you stay within the law all fish count. 12. The biggest fish and scallop from each diver's top fifteen species will be used towards the diver’s total points. 13. Entries must be posted within 3 days of being taken and photographed. No "hoarding" of entries. 14. ALL DFG rules must be followed 100%. Period. Any breaking of any DFG rules will result in the entry being disqualified, and flogging in public. 15. If you don't like the rules and don't want to play, don't! Diving is fun, and this is meant to be fun between friends as well. We all have bigger and better things to argue/stress/worry about. 16. AOTY is DIFFERENT than DOTY. Hook and line fishing is DIFFERENT than freediving/spearfishing. The rules for both contests are DIFFERENT. Discussion of rules is encouraged, and will be considered and evaluated for use in future year DOTYs. 17. DOTY committee members have final say over any and all issues/arguments/controversies. so you have to have all 17? I would like best of 15 or something. Rule 13 will make the end of the year more interesting! Thanks for putting in the work to get this set before the new year!